ALLUVIAL gold production and revenue levels between 2014 and 2016 have naturally responded to the fluctuating gold prices on the world market. This is according to the managing director of the Mineral Resources Authority Philip Samar who said in 2016, MRA expects a further decline, with just 90 ounces being produced. In a statement released yesterday Mr Samar said, production had dropped from a historic high in 2014 of 120 ounces (oz) of gold which had netted K373.3million to 113 oz in 2015, generating K356.3million. However, he said because gold prices had increased substantially earlier in the year to an average US$1340/oz, (K 4,247.27) and remained stable at that for almost six months (only dropping below US$1200/oz), (K 3,804) the revenue side had been holding against the 2015 figures of K356.3million. According to the statement revenue to date is K266.7million as at the end of Quarter-3 and MRA projects around K355.6million for the full year. On the upside, in the past 12 months there has been considerable interest in tenement applications within this sector especially for alluvial mining leases (AML) and associated joint venture arrangements. According to Mr Samar while some previously approved deals had collapsed, MRA remained confident that the future of the sector especially the ability to generate greater production and significant revenue, lies in mechanisation. Hence, the theme it is promoting at the upcoming Alluvial Mining Convention which will be held in Goroka on November 3-4, 2016. 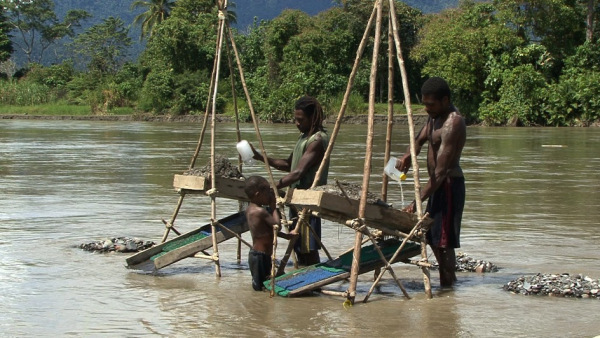 The entity had also noted an increase in gold smelting and refining opportunities in PNG from overseas investors. The conference is open to all and MRA is urging all to attend to not just learn about the sector but establish contacts as well.